I hate to take such a political stance with my art, as I know we live in an especially contentious age of partisanship, but sometimes a man has to take a stance, however unpopular. I realize in this age of political correctness, there hasn’t been much public discussion about the superiority of mammals to reptiles, or the need to educate this ardent belief to our children, but such opinions have surely not been swept under the rug. Mammals are by far the superior class of animals, as has clearly been proven by our meteoric rise to the top of the food chain, which I don’t think anyone is prepared to dispute. Many will call my work simple propaganda, and though I will not suffer their lies, I will concede that the work I have created is not rooted in specific historical fact. 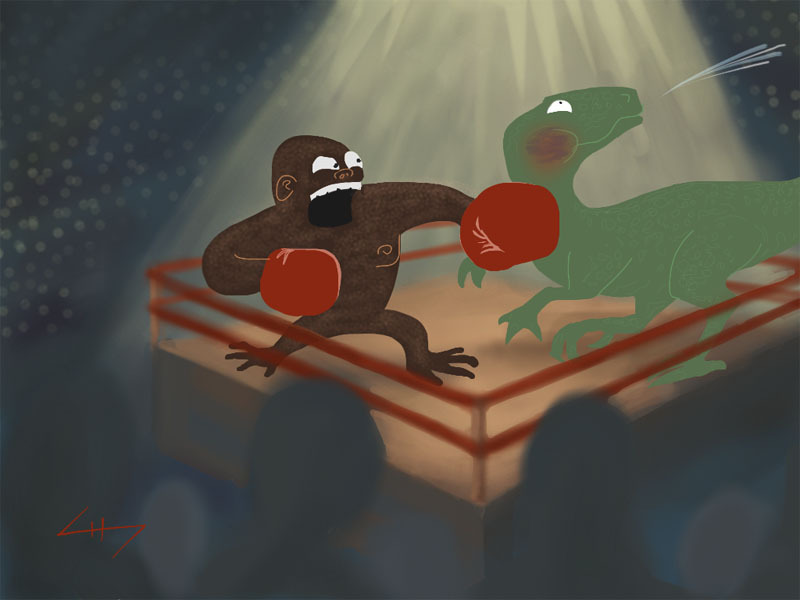 While no such fight has been arranged specifically between gorillas and dinosaurs in an enclosed arena (that we have recorded evidence of) there have surely been many conflicts between our classes generally speaking, and surely many more. As fellow mammals, who can possibly fault me for taking this position? Are we to simply bow our heads in silence, to the implied understanding that we are lesser than our reptile brethren? Nay, we must speak out. In our art, and in our stories. With our voices, booming collectively that mammals are just better, dammit! We’re just way, way better. Overall Score: An uninterrupted age of mammalian prosperity. 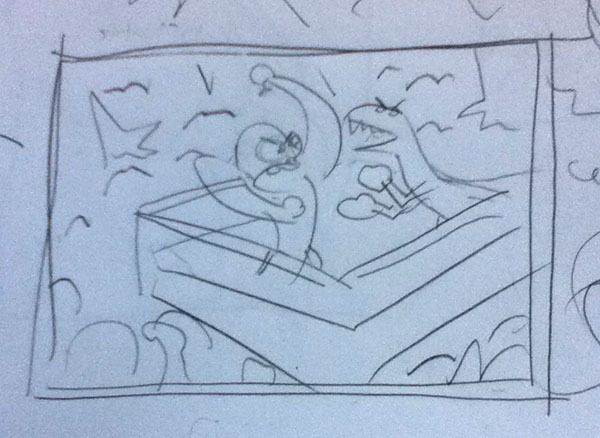 This entry was posted in Improve-a-Sketch. Bookmark the permalink.